The Armattan Chameleon was a huge success with our Tom Smith Edition and now were extending our range to include the all new Rooster. This will be built and tuned by our resident FPV Freestyle Guru and World renowned pilot Tom . PLEASE NOTE WE WILL BE UPLOADING NEW PICS SHOWING THE T-MOTOR F40 PRO III SOON. Tom as been flying for many years now and certainly knows how to build and tune fpv racing drones and he takes absolute pride in his work so you can be assured of not only a neat build , but a locked in and well tuned Rooster when you receive it. Please remember this is a premium product that takes around 5hrs to build and tune. There may be a small waiting time but it will be worth it. They come ready to bind to your FrSky Radio and our standard is EU Firmware on the receivers but if you need a Non EU please let us know and we can amend this for you. Let's talk about the specs of the build , And why we recommend these components. Armattan Rooster is new and fresh and not only looks amazing but has very desirable features such as the titanium camera cage . And there famous lifetime warranty makes this the most desirable frame out there at the moment. See more details on the rooster frame here. We choose T-Motor F40 PRO II 2400KV, not only because the colour scheme compliments the titanium cage on the rooster but because they have explosive power and being a freestyle drone power is needed all the way through the throttle range. They are also very smooth and not overly amp hungry due to there design . 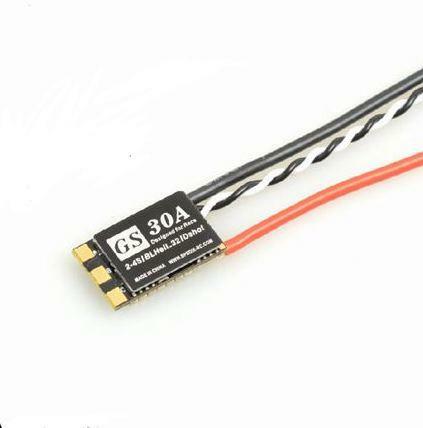 Matek F405 STD and FCHUB PDB simply because they work , there reliable , have current sensing and can allow easy channel changing of the vtx and a Betaflight Osd. Tom uses this combo on most his own machines and its one of our best selling flight controllers in the store and for good reasons. Spedix GS30 , As most will know Spedix esc's are smooth and very reliable and they also make esc's for many other brands some more famous than others .. They are the market leader for speed controllers at the moment and the esc Tom chooses supports Dshot 1200 and can run 32bit. They can also take some serious throttle punch outs without setting on fire which is a bonus . In fact Tom has set many escs on fire in his time but not a Spedix GS30. Team Black Sheep TBS Unify Pro Race Edition , this is the most reliable and popular vtx around in the drone racing and freestyle scene , All the staff use them and its the best selling vtx in our store. We want the Rooster Tom Smith edition to be a premium product so why settle for anything less. TBS Triumph has been chosen for durability and performance , we selected this antenna because it will save money in the long run with how much stronger it is compared to other antennas , its also the most popular video transmitter antenna in our store . Runcam Swift 2 - It goes without saying Runcam are the market leaders in FPV cameras and the Swift 2 is tried and tested and its Toms go to camera of choice so its featured in the Rooster BNF . Propellers chosen are the HQ 5x4.3x3 v1s in Clear Orange , These give the perfect balance of thrust , and efficiency. It is important with propeller choice that a balance is made if you have too steep of a pitch they may be good for a quick punch out but will most likely reduce flightime dramatically and also too steep will affect cornering because they can't get up to speed the same as a more sensible pitched prop. Going too low of a pitch may affect the ability to pull out of hard dives quickly enough.. The 5x4.3x3 v1s strike the perfect balance what is needed for freestyle flight. If you have any certain requirements we can adapt this build to suit so please email us or drop a message via our facebook page , telephone or call into our store to discuss any changes you may want. A very well built tidy and neat job by Tom , Delivered with his own PIDS and came within 2 days of ordering. Out the package I was surprised just how tidy the soldering and wires are I was thinking of framing it rather than flying but that would be a waste. I would recommend the rooster without hesitation to my friends. Simon.